There was a ton of news from the first official week of spring training. 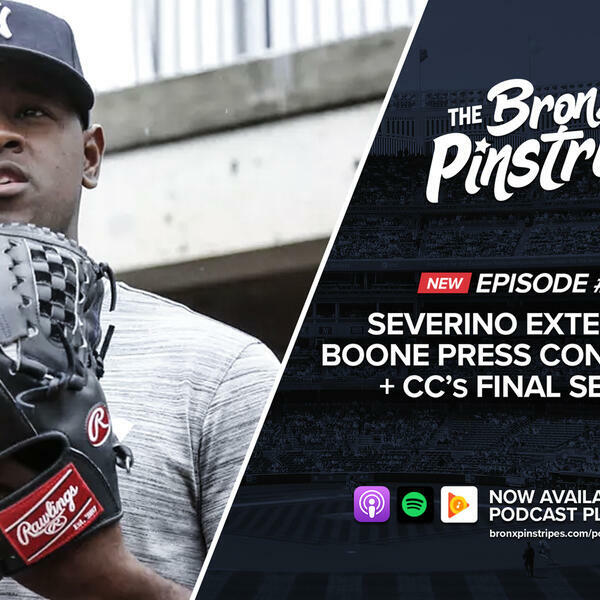 We discuss Luis Severino's contract extension, takeaways from Aaron Boone’s press conference, injury updates on some key players, relationship between Boone and Gary Sanchez, the first base battle, CC Sabathia’s retirement announcement, and analytics behind if the batting lineup matters. Mailbag questions about locking-up the next core Yankee, Masahiro Tanaka’s contract, Brett Gardner’s Yankees legacy, and big surprises in 2019.